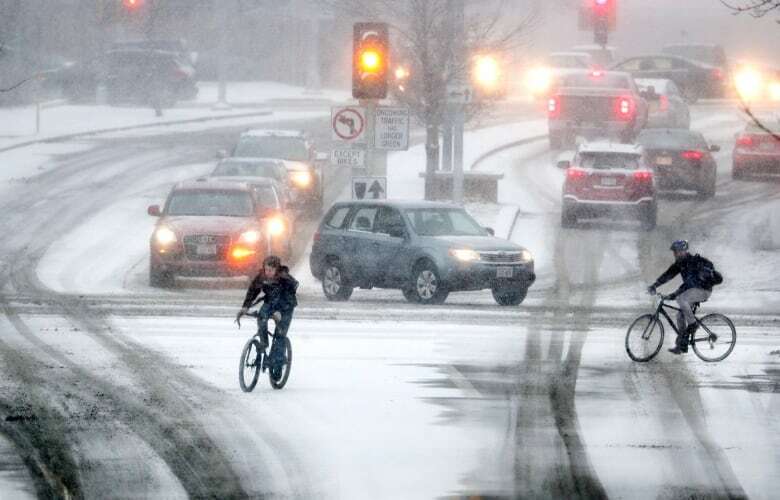 Wall of wintry, hazardous weather pushes across the U.S.
People throughout parts of the U.S. Midwest woke Saturday to a heavy and steady snowfall that forced the cancellation of hundreds of airline flights and made driving dangerous. 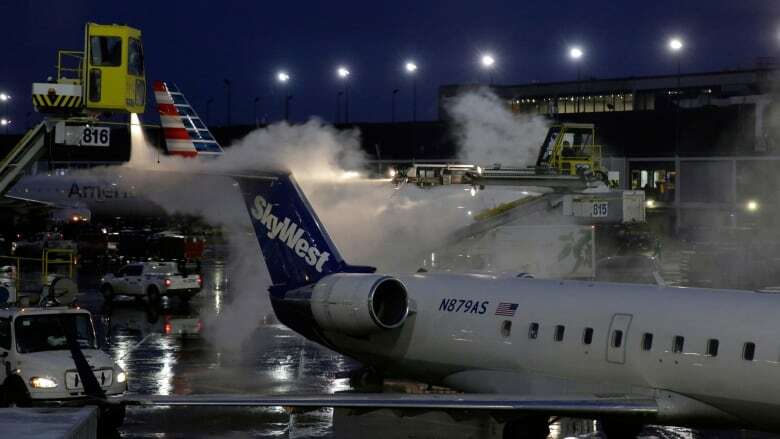 More than 460 flights were cancelled Saturday morning at Chicago's O'Hare International Airport and about 50 flights were cancelled at Chicago's Midway International Airport. In the Detroit area, many motorists were moving well below posted speed limits along freeways due to slushy conditions. The snowfall is part of a wall of hazardous weather that trekked from the Dakotas and across the Great Lakes states, headed toward New England. The U.S. National Weather Service has warned that conditions in the Northeast "could approach blizzard criteria." Some areas in the storm's path saw ice instead of snow. The storm was forecast to bring between up to 25 centimetres of snow to the Midwest before walloping New York, Pennsylvania and other northeastern states on Sunday, where it could dump up to 61 centimetres of snow. The same system will affect Canada, Environment Canada says, with its northern fringe bringing snow to much of Southern Ontario on Saturday, before moving on to southern Quebec and socking the Maritimes on Sunday. Amtrak cancelled some trains Saturday from Chicago to Washington and New York and between New York and Boston and Pennsylvania on Sunday. Chicago was forecast to receive as much as 20 centimetres and wind gusts in the Chicago area are expected to reach 56 km/h. In Nebraska, authorities closed Omaha's Eppley Airfield on Friday afternoon after a Southwest Airlines plane slid off an ice-slicked runway. No one was injured. The National Weather Service in Albany, New York, said snow could fall at a rate of 2.5 to 7.5 centimetres an hour, creating "difficult to impossible travel conditions" in areas. The storm prompted the cancellation of a Special Olympics competition in upstate New York. Nearly 200 athletes from around New York state were expected to compete in snowshoeing, snowboarding, cross country, and Nordic and Alpine skiing at West Mountain, just outside Glens Falls. In New York City, the worst of the storm was expected from Saturday afternoon through Sunday afternoon, with snow accumulations of 7.5 to 15 centimetres, followed by rain that could turn to ice as temperatures drop later Sunday. Single-digit temperatures could last into Monday. Strong wind gusts beginning Sunday afternoon could bring down snow- or ice-burdened tree limbs and power lines. Bitterly cold air was expected in the storm's aftermath.